Break out the disco fever with this must have addition to any party! Break out the disco fever with this must have addition to any party! A Disco Photo Booth to create ultra-cool disco themed photos and selfies, the Disco Photo Booth comes complete with all the props you’ll need for the classic disco feel, including a tinsel curtain for a retro shimmering backdrop. So whack on the Elton John style starry glasses, grab your glitter ball and get your boogie on 70s style for great party photos and memories, ideal to post and share with friends. 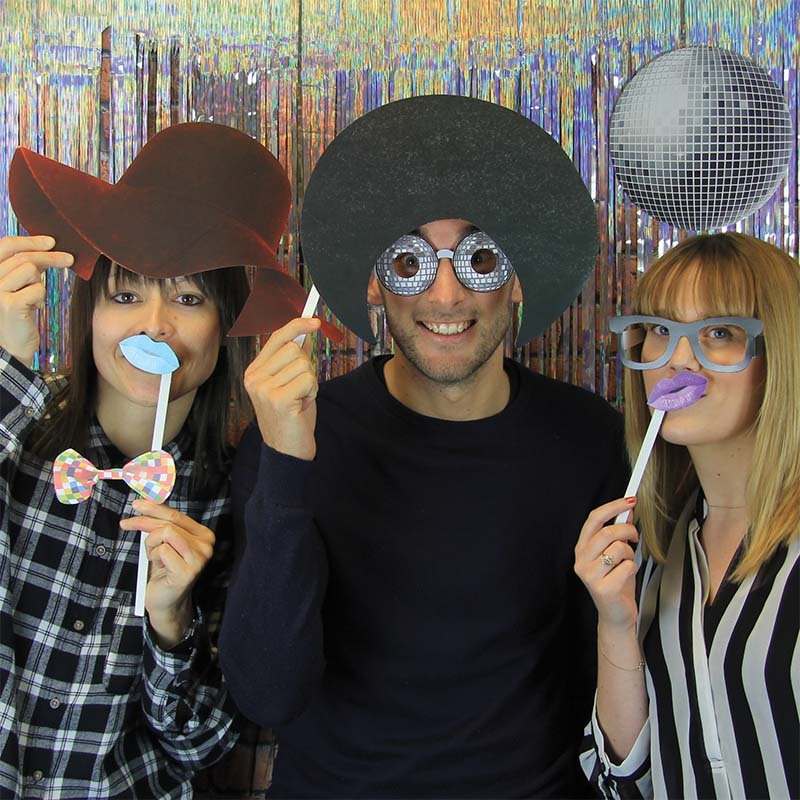 In addition to the classic photo booth style tinsel curtain, the Disco Photo Booth features an array of cardboard props, including glasses, hats, wigs, party lips, drink props and 70s themed items like records and glitter balls. The set also has stick on prop sticks so you can mix and match for your perfect poses and re use again and again for great party moments. The Disco Photo Booth is part of the Party gift range from Paladone. Providing great party gifts focused on having a fun time with friends, the Party range has everything you need to get the fun flowing.